Both the ASW 19 & 20 are shown in this Mike Trew design, which includes details of the retractable wheel, airbrakes and flaps. 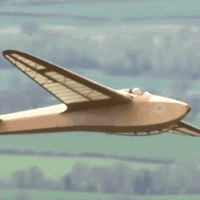 The ASW 19 is a single-seat glider built by Alexander Schleicher GmbH & Co. 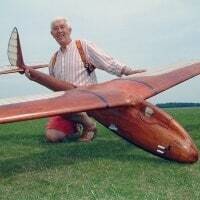 It was originally designed as a Standard Class glider, but now mainly competes in the Club Class. The ASW 19 is known for its pleasant handling and some clubs use it as a training glider. It was succeeded by the all-new Schleicher ASW 24. Schempp-Hirth metal air brakes are fitted on the upper surface of the wing, and later models received modified brakes with an additional panel due to the somewhat disappointing effectiveness. The wings are held in place with two main pins. Up to 80 kg of water ballast can be carried. 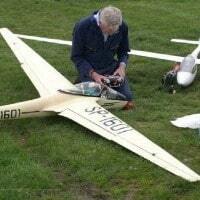 The tail unit is also of glassfibre/foam sandwich, and the horizontal tailplane has a fixed stabilizer. 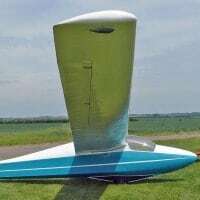 The fibreglass fuselage is built without the honeycombs that were used on the ASW 15B and ASW 17. It has a winch hook, which is covered by the main wheel doors, and an aerotow hook situated approximately one foot from the nose. With the ASW 19B version, the maximum allowed amount of water ballast increased and the take-off weight can be raised to 454 kg. Later ASW 19B were delivered with an instrument panel that lifts with the canopy. This feature can be retrofitted to older models. The ASW 19 Club is a version with a fixed unsprung monowheel and no water ballast carried. Only five were built for the Royal Air Force, where they were known as the Valiant TX.1. A single ASW 19 was fitted with a new wing profile featuring turbulator blow holes at the Technical University of Delft. 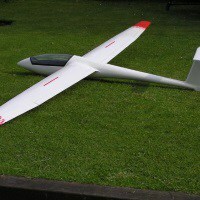 This ASW 19X showed improved gliding capabilities with a best glide ratio of about 1:41.